AP story on the Creation Museum climbs the charts on Yahoo! An Associated Press article that was put on the Yahoo! website (always in the top three most-visited websites in the world) in the science news section, today became the second-most-visited news story in this section! AiGs website (answersingenesis.org) spiked to unbelievable numbers! This also shows that the Creation Museum is going to create the interest we have been predicting, with estimated hundreds of thousands of visitors a year. However, the FOX NEWS version of the article (even though as someone once said, "It doesnt matter what you say about me, just spell my name right") does fairly blatantly exhibit some of the usual anti-creationist agenda weve seen from some of the secular media. You can see the article here on Fox News. 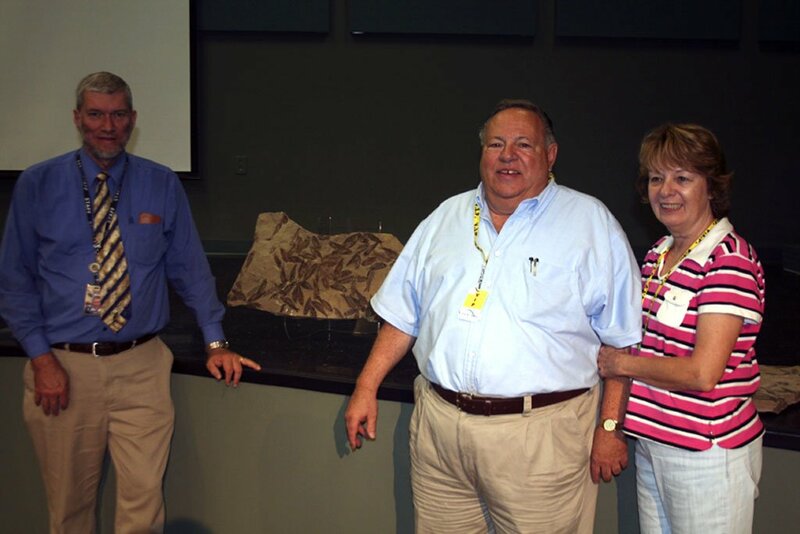 paleontology, geology," in our staff meeting, avid fossil collector Bill Minnich and his wife Agnes presented AiG with some very valuable world-class fossil specimens for the Creation Museum fossil collection that will be displayed in exhibits throughout the museum. I have included photographs of the presentation today and included Bills inspiring talk to the staff as he presented the fossils---you can listen from the link below where I talk about this mornings meeting. FOX needs to know that AiG works very closely with Dr. Kurt Wise, who has a Ph.D. in paleontology from Harvard University (having studied under the late Dr. Stephen Jay Gould), to ensure the paleontological sections of the Creation Museum are scientifically accurate. Creationists are not against paleontology, geology, biology and astronomy, etc.! On the contrary, there are many qualified creation scientists working in these areas. There is a LOT of paleontology, geology, astronomy (including a state-of-the-art planetarium), biology, etc., in the Creation Museumbut of course, we show clearly that observational, repeatable, testable science confirms the creation account of the Bible and does NOT confirm molecules-to-man evolution. Out of all the news headlines for the AP story on the Creation Museum, it seems "conservative" Fox News is one of the worst! AOL reported it this way: Museum Depicts Creationist History---with a nice photo. The AP article appeared in many other news sources across the nation and other parts of the world! And weve already had a number of different Christian media call for interviews! We are going to have a busy few days fitting in interviews (as I already did today) and making sure other commitments are not neglected! But, it is thrilling to be that busy anywayit is thrilling because it means we have opportunity to tell the public the truth about Gods Word and the gospel. 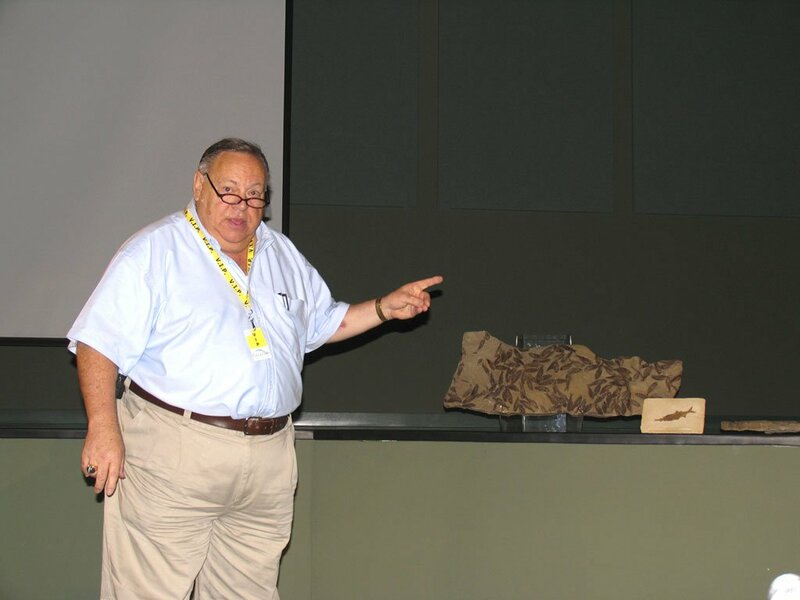 Fossil collector Bill Minnich gave an inspiring message to the staff this morning as he presented a number of fossils to the Creation Museum. 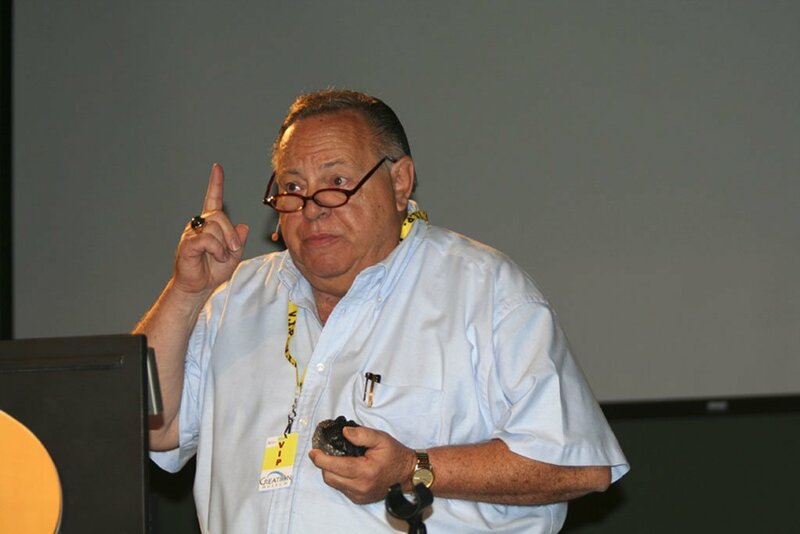 You can listen to Bills ten-minute powerful message. Today, another church in Brisbane (at Carinaa Brisbane suburb), Queensland, was added to the itinerary of the visit of Dr. Crandall (which begins this weekend in Sydney). Click here for detailed information. Well, there is so much more that I could put in my blog---lots of exciting things happeningbut Ill keep them for another time or this blog will take you millions of years to read! Thanks for stopping by and thanks for praying.